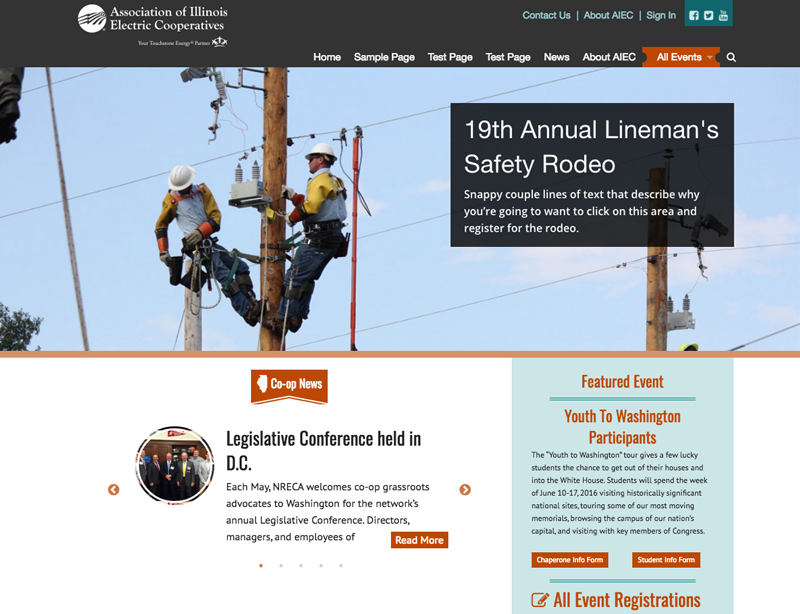 The Association of Illinois Electric Cooperatives (AIEC) is the service organization for member electric and telephone cooperatives for the state of Illinois and their associate organizations. The AIEC consists of 28 members-cooperatives, representing each of its member-systems – the 25 electric distribution cooperatives and five power generation and transmission cooperatives. One director is elected by and from the board of directors of each member-cooperative. 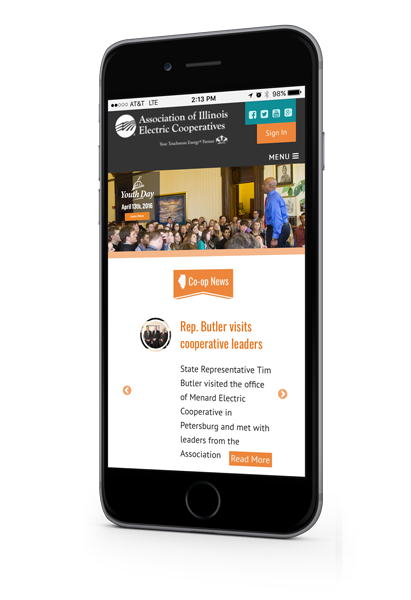 The six telephone cooperatives operating in Illinois are non-voting members of the AIEC. As our parent company we’ve worked closely with the staff to create a comprehensive website designed to meet various needs. Focusing on main events and course registrations we reimagined the homepage and how events would be browsed. Energized has created an easier event browsing experience more attractive homepage. Specialized forms help the AIEC with interoffice event planning as well as member engagement feeding dynamic lists that better serve the staff information. User management and registration allow information exclusivity based upon user groups.